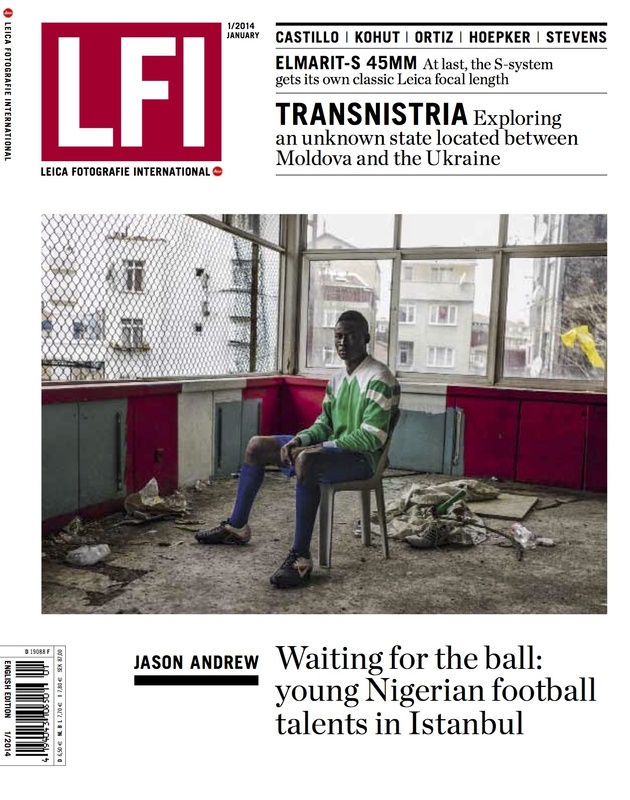 In January 2014, Jason Andrew’s work (and my text), on Nigerian soccer players stranded in Istanbul, will be published in LFI Magazine —an imprint run by Leica. In the summer of 2012, mere months after graduating from Columbia, I was honored to publish my first story —in print— for The New York Times. The piece, Soccer’s Lost Boys, which looks at the award-winning photography series by Jason Andrew, ran full page in the Saturday sports section with a longer article published on the New York Times’ Lens Blog. As the plane’s landing gear struck the smooth runway of Istanbul’s Ataturk airport in August 2010, Akeem looked around the cabin at the 60 other young African players, dressed in matching adidas track suits and toting their cleats. Akeem had paid for his flight, visa, and – more importantly – the opportunity to try out for Turkey’s professional clubs. As he glanced out of the plane’s small, fogged window onto a city which has served as the heart to four world empires, Akeem wanted to believe that his future started here. *The January issue is available for download or purchase here.